Tim Piazza and Marquise Braham told their parents they just wanted to make some new friends by joining fraternities while away at college. Neither got much of a chance: They died before their 20th birthdays, after brutal fraternity hazing rituals. Now their parents are launching a nationwide anti-hazing campaign, and after too many similar deaths, national leaders of fraternities and sororities are joining them. 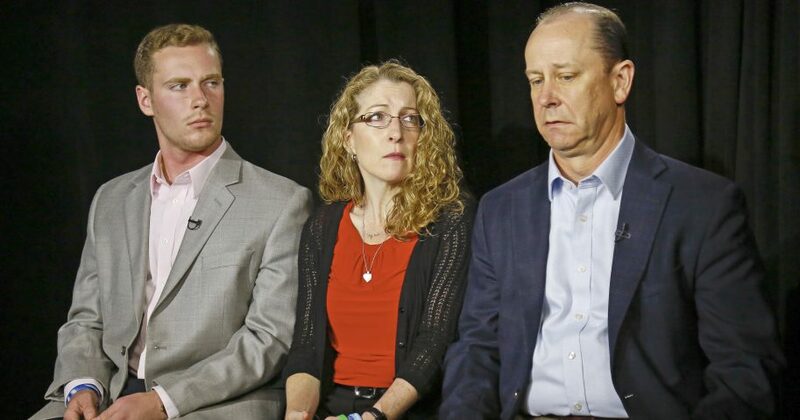 “I know it might seem strange to some people that families who lost their children to fraternity hazing are now working with fraternities and sororities to eradicate hazing,” Piazza’s father, Jim, said by phone Sunday from New York, where he, Braham’s father, and other parents were preparing for a series of Monday morning TV appearances to announce their campaign. His 19-year-old son died an agonizing death last year after he was ordered to binge-drink 80-proof vodka until he became so intoxicated that he fell repeatedly, including down a flight of stairs, and was left to writhe in pain for hours before medical help was summoned. More than two dozen members of Piazza’s Beta Theta Pi fraternity at Pennsylvania State University were arrested, but all felony charges, including manslaughter, were eventually dropped. Three people have since pleaded guilty to misdemeanors. “Currently the system — and that’s the police, the district attorneys, the judges — they seem to view hazing as it’s kind of like kids’ stuff,” said Rich Braham, whose 18-year-old son committed suicide in 2014 after a brutal bout of hazing that he’d complained about to school officials. These fathers say they were delighted when, after reaching out to the North American Interfraternity Conference, they found an ally in its president and CEO, Judson Horras, who also brought aboard his National Panhellenic Conference counterpart, Carole Jones. Do you think these parents have the right idea? Their organizations together represent nearly 100 fraternities and sororities nationwide. One of the first orders of business for this new coalition, Horras says, is to press legislatures in all 50 states to toughen anti-hazing laws. They want lawmakers to make it a felony to force a student to consume alcohol during an initiation. While some legislatures have been slow to toughen such laws in the past, Horras says he’s confident Greek organizations can sway them. His organizing is also confronting the booze issue itself. By this time next year, he said, hard liquor of 15-proof or more will be banned from all IFC frat houses. The new coalition also plans to have parents like Piazza and Braham speak to as many as 25,000 college students this academic year about the dangers of hazing, and to have members of Greek societies themselves speak to high school and middle school students.